Richard Webb just finished an article on reverse engineering the wireless protocol used to communicate with some pro studio lighting. 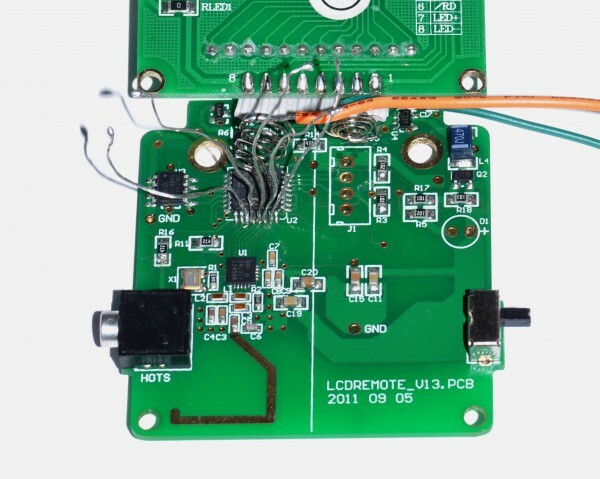 His approach involves sniffing the SPI bus into the lighting controller’s RF module using the Open Bench Logic Sniffer to obtain preliminary addressing information, then used an nRF24L01+ module in receive mode to capture packets. He used the results to discern the control signals and used an Arduino to transmit the desired control signals using a nRF24L01+ module. Richard’s post can be found on his Zoetrope tech blog. This entry was posted on Wednesday, October 1st, 2014 at 3:17 am	and is filed under Arduino, code, Logic Sniffer, reversed, wireless. You can follow any responses to this entry through the RSS 2.0 feed. You can skip to the end and leave a response. Pinging is currently not allowed.